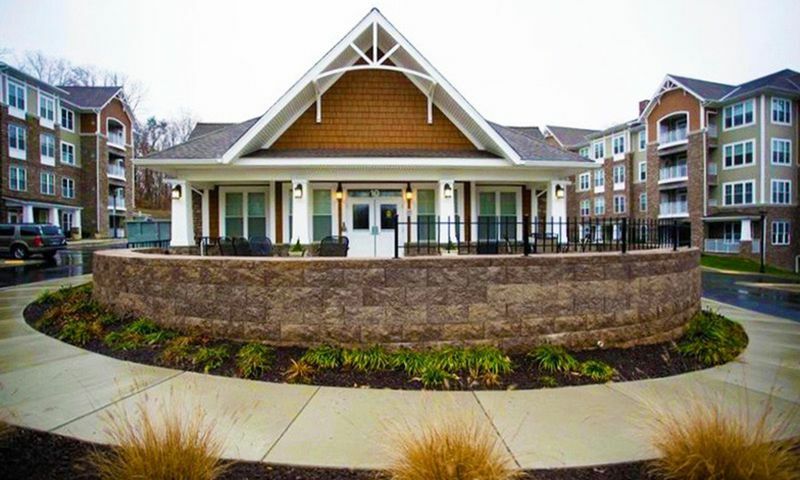 Patapsco Overlook is a vibrant active adult community in Catonsville, MD. This 55+ neighborhood offers condominium units on a resale-only basis and features 80 residences total. Plentiful amenities keep residents active and a variety of planned events and clubs offer creative and social outlets for every interest. With a convenient location in the Baltimore-Washington D.C. metropolitan area, active adults in Patapsco Overlook will have plenty of excitement surrounding them. Patapsco Overlook features a beautiful, 1,472 square-foot clubhouse that serves as the social hub for gathering with neighbors. You can hold an event in the party room or prepare a snack in the catering kitchen. An on-site exercise room makes it easy to stay in shape without paying for a gym membership. A conference room makes club meetings easier than ever. Outdoors, friends and neighbors can come together on the outdoor patio for a picnic or just a relaxing chat. There’s never any shortage of things to do at Patapsco Overlook. J. Kirby Development began construction of Patapsco Overlook in 2010, and is home to 80 residences. Condos are approximately 1,455 square feet in size and offer either two bedrooms or two bedrooms with a den for extra space. Homes also include two bathrooms as well as ample parking for residents’ convenience. Due to the condo-style living, homeowners don’t have to worry about spending time on exterior home upkeep. Models also include luxurious features like walk-in closets and balconies. Living within Patapsco Overlook means having plenty of time to enjoy new hobbies or socializing with friends and neighbors. Thanks to the clubhouse, hosting club meetings or planning events is easier than ever. It’s common for neighbors to meet for potluck dinners as well as holiday parties and other social gatherings. Additionally, residents are encouraged to start their own clubs or plan activities for all to enjoy. Active adults at Patapsco Overlook place a premium on getting to know their neighbors. Located in Catonsville, Maryland, Patapsco Overlook is a short distance from both Baltimore and Washington, D.C. With two big cities within driving distance, the residents here are never bored. You can head to D.C. to take advantage of the free museums and monuments or go to Baltimore for world-class dining and entertainment. Catonsville offers plenty to do as well. Patapsco Overlook is surrounded by a variety of major highways, making travel around Maryland and surrounding areas easy. Additionally, the community is located in a high-traffic suburban area full of shopping and dining options. With so much to do in and around Patapsco Overlook, it’s clear why this active adult oasis attracts so many to Central Maryland. Clubhouse - 1,472 Sq. Ft. Check back soon for more information on the lifestyle in Patapsco Overlook. J. Kirby Development began construction of Patapsco Overlook in 2010, and will be home to 80 individual residences. Condos here are 1,455 square feet in size and offer either two bedrooms or two bedrooms plus a den for extra space. Homes also include two bathrooms as well as ample parking for residents convenience. Due to the condo-style living, homeowners dont have to worry about spending time on exterior home upkeep. Models also include luxurious features like walk-in closets and balconies. 55places.com is not affiliated with the developer(s) or homeowners association of Patapsco Overlook. The information you submit is distributed to a 55places.com Partner Agent, who is a licensed real estate agent. The information regarding Patapsco Overlook has not been verified or approved by the developer or homeowners association. Please verify all information prior to purchasing. 55places.com is not responsible for any errors regarding the information displayed on this website.